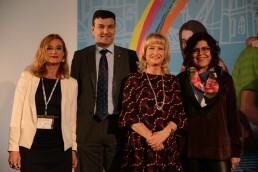 He welcomed the 200 Master Franchisors from 34 countries to Marbella and thanked them for choosing the city, while emphasising the need for more learning opportunities in Spain for the two key languages – English and computer programming to “train the entrepreneurs of the future”. He also stressed that “Marbella is proud to have residents from 135 different nationalities all using English as the universal language to communicate” and as such, learning English is fundamental. Helen Doron explained her desire to open language schools on the Costa del Sol, and create business and employment opportunities for English speakers in the area.